Until a few years ago, Nike running shoes suffered from design fatigue. Models like the Pegasus/Vomero/Structure/Lunarglide failed to offer anything new except for minor variations in style and function. That was until adidas shook up the athletic footwear market with the Boost platform. The meteoric growth of adidas footwear was the shot in the arm, galvanizing other brands to infuse newness into their products. Be it Asics’s Dynaflyte, Brooks DNA AMP, or the Saucony Everun, the last couple of years have been anything but predictable. The irony is that adidas is now the one with the design fatigue problem – most of their popular shoes feel dated. The latest Solar assortment is good yet far from great. The UltraBoost 19 is here, but that’s just one major release in a crowd of familiar faces. Although, it’s reassuring to see that adidas is inventing R&D resources (in the form of Floatride) into Reebok, a company which it owns. So there’s plenty of progress and innovation at an adidas group level. Unlike smaller brands, Nike has considerable resources at its disposal. Not only does it have the luxury to develop its own cushioning tech, but Nike’s sheer size also allows it to take design risks which would otherwise bankrupt a smaller organization. Some of the said risks pay handsome dividends; others fail and become mere bumps on the road for Nike. They can be careless enough to release ankle-high running shoes with faulty inner seams or hype up terrible ‘running’ shoes such as the Vapormax. At the same time, their bold approach has, more often than not, yielded success stories at a commercial scale. Think of Nike Air in the ’80s and ’90s. Or the Nike Free in the late 2000s and the Flyknit construction from five years ago. History shows us that the ends justify the means. Nike did a fabulous job of updating their products in 2018. Last year, Nike leveraged Nike React and Zoom X cushioning along with a brand new silhouette to achieve successful results. The Nike React Flyknit has a cushioning with a distinctly rubbery feel; the Zoom X foam is softer and more lively. This 2019 guide sees many models brought forward from 2018. However, there are a few topics worth mentioning. The first is the inclusion of the Vaporfly 4% Flyknit. 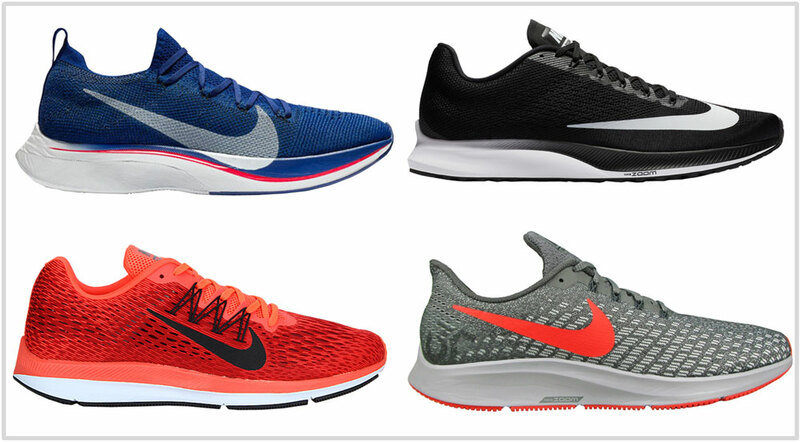 Until last year, the non-Flyknit Vaporfly 4% was an extremely difficult shoe to acquire – precisely the reason for its omission from our 2018 guide. We have featured the 4% Flyknit this year since it is available online through multiple retailers. A detailed review will follow in summer. Some of you will be surprised to find no mention of the Vomero 14. The exclusion is intentional; the Vomero 14 does not represent what the franchise stands for. Vomero is supposed to be Nike’s plushest running shoe, the kind in which you do long runs in comfort without worrying about the pace. The Vomero 14 feels like a plusher version of the Elite 10 instead. The ride is firm and the upper has a speed-shoe kind of fit and feel. So if you’ve been a Vomero loyalist, then do yourself a favor and sit this one out. In short, the V-14 is a good shoe but a terrible Vomero – Nike has really botched this one up. We’ll cover the finer details in our no-holds-barred review next month. We have also left the Nike Free out. The Free assortment isn’t as great as it once used to be. Also, the whole minimal-flexible trend isn’t relevant anymore in the performance running shoe market. That said, flexible shoes make a lot of sense in a different context – we have a separate guide for that. So what kind of Nike running shoes are on this list then? Quite a few, in fact. This 2019 buyer’s guide represents Nike’s popular staples in each category. The fact that the Pegasus is the oldest surviving running shoe series is a testament to its extremely versatile nature. It’s got a cushioned and responsive ride which works for most run types, and the sleeved upper has a comfortable interior. The outsole is durable so you get more value for the cash spent. The price goes up by $10 over last year. 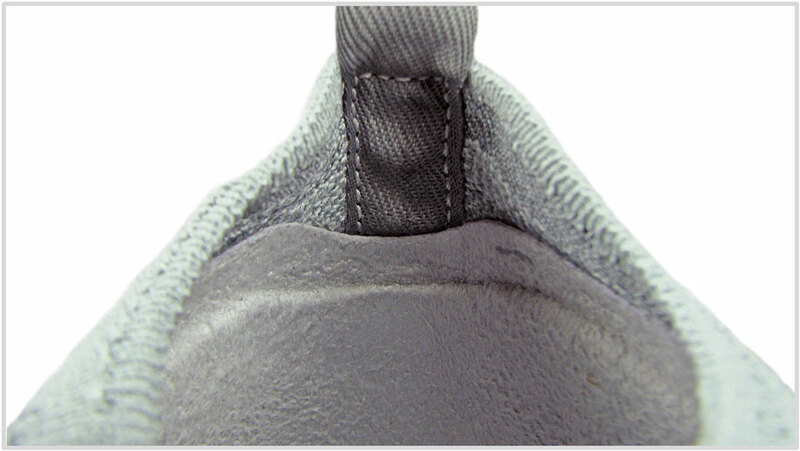 In lieu, you get a full-length Zoom Air bag inside the midsole which has a significant (positive) effect on the ride quality. Read our very detailed review to know more about the shoe. There are two other Pegasus variants. There’s a reflective and water resistant ‘shield’ version for damp and cold winter runs. The lace-less Pegasus FlyEase edition is designed for easy on and off. It’s year two for the Epic React, a running shoe which derives its cushioning from the new midsole foam. The V2 sports the same midsole and outsole as the V1, which means that you get an identical ride. The Epic React V2 is perfect for long distance runs because of its deep and responsive cushioning. The rear-foot stability has improved slightly because of the redesigned heel clip. Worth underscoring is the fact that the React foam hardens up in freezing temps, so you might want to wait till spring to get a pair. The sock-like Flyknit upper fits nearly identical to the outgoing version. The single-piece Flyknit upper has a form-fitting silhouette with smooth insides. Although, running in them barefoot can be tricky for some – the V2 has the same inwards-looping heel loop as the V1. Also see: The Legend React and the Odyssey React V2. 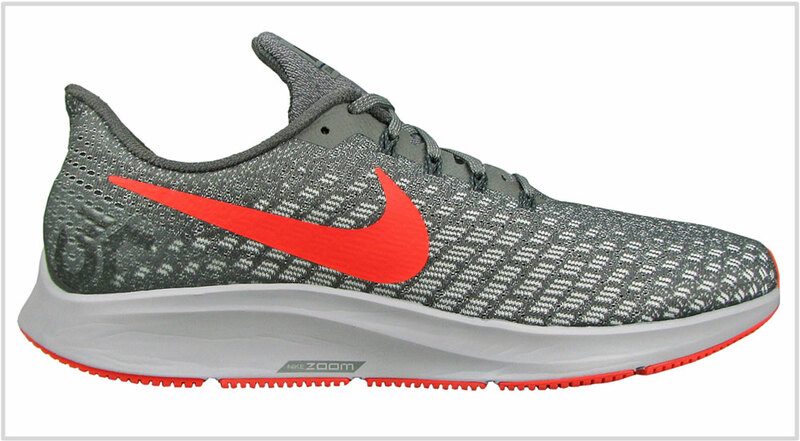 The Pegasus 35 Turbo is a lightweight but expensive neutral cushioned trainer. Though it’s an excellent running shoe (that’s why it’s on this list), we have mixed feelings about the Turbo. On one hand, the ride feels great. The combination of Zoom X and React foam produce a ride quality which is comfortable for long distance runs without any of the slowness. There are a couple of things which we don’t like about the Turbo. The first is its price. 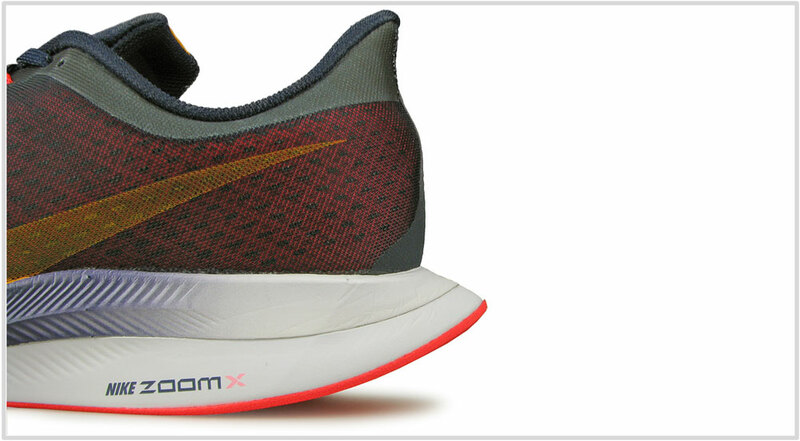 There’s no inner plate like the Zoom Fly or the Vaporfly, nor is the midsole made entirely of the Zoom X foam. Which brings us to the second point. There’s a thin line between misleading advertising and blatant lying, and the Pegasus Turbo treads the razor edge of the said line. The Turbo has an excellent ride quality regardless of the construction, so there wasn’t any need for Nike to label the React part of the midsole as Zoom X. Also, the upper has a very shallow toe-box and narrow forefoot. The term ‘signature ride quality’ is a time-worn cliche. But when you’re referring to the Vaporfly 4%, it is anything but. The midsole is literally spring-loaded, and if that wasn’t enough, there’s a copious amount of ZoomX foam for high-mileage comfort. The user feedback is unanimous – there is is a direct correlation between the amount of ZoomX foam used and a reduction in fatigue. 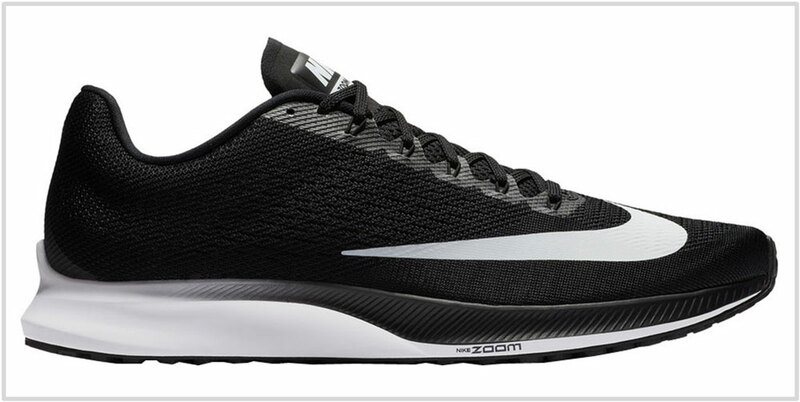 The Vaporfly 4% Flyknit has ZoomX in wholesale, and the business end of the Carbon fiber plate is suspended below the heel. The plate acts as a lever under the heel and delivers the signature ride behavior unique to the Vaporfly and Zoom Fly. Does it improve your race time? Hard to say; any time-based feedback could be little else than confirmation bias. But less fatigue at the end of a grueling 20 miler is always a good thing. It’s pretty efficient too; the plate sits just above the forefoot outsole for swift roll-offs. The Vaporfly 4% Flyknit gets an updated knit upper with a snugger fit. And yes, we hear ya – a full review is forthcoming. 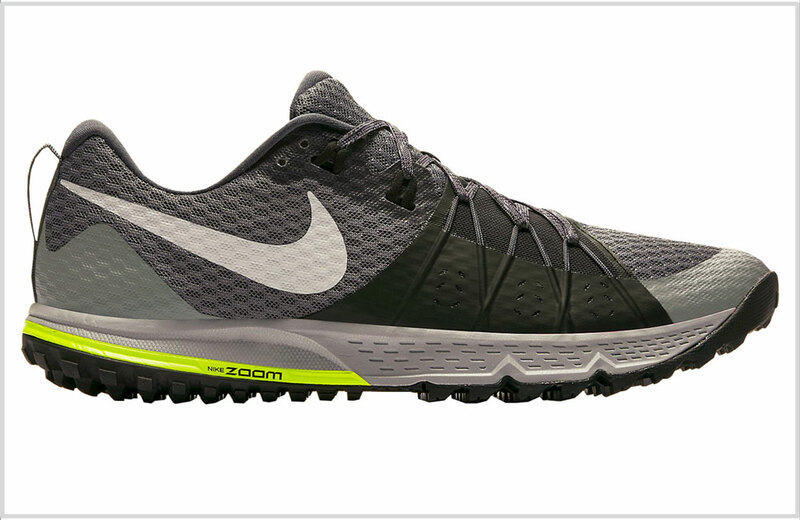 The Zoom Elite works particularly well for forefoot strikers. There’s a large Zoom Air bag encapsulated inside the forefoot which produces a snappy ride. The Elite 10 has the same midsole as the 9 but there’s a price cut of $20. This makes the Zoom Elite excellent value for money. Motion-control or stability running shoes are dying breed. But for whatever it’s worth, the Structure 22 is Nike’s go-to shoe if you like a firm midsole with a supportive ride. The forefoot is responsive and snappy due to the Zoom Air bag inside. In this case, a firmer medial side doesn’t mean a biased ride but a balanced foundation – which is good. The Structure 22 carries forward the 21’s midsole with a brand new upper which features a Flywire cord based lacing and a longer tongue. The Streak 7 has a lot of Streak 6 in it. As in, a carry-over midsole and outsole design below a breezy and no-nonsense upper. The Streak 7’s purpose and character stay true to the series – it is an excellent racing shoe without the metatarsal-jarring experience of true flats. The 7-ounce package manages to accommodate a heel Zoom Air and a plastic shank into a foam midsole. As a result, there’s ample cushioning for up to half-marathons. The large rubber slabs on the outsole provide traction and additional protection from the imperfections on the road. As typical of road-racers, the upper has a snug fit for an excellent foothold. The well-ventilated upper sticks to the basics like a race-tongue with soft flaps and a marginally padded heel collar. Also see the Zoom Streak LT4 – a diet version of the Streak 7. The $90 Zoom Winflo has been a consistent performer for over four years, and a rather under-rated one at that. There are many reasons why it’s perfectly alright to walk past more expensive Nike models and choose the Winflo instead. The heel Zoom Air, the EVA midsole, and the removable insole give you all the lightweight cushioning and rearfoot-loaded responsiveness you need. There’s plenty of rubber over the articulated outsole for grip and flexibility. The upper has the usual gathering of mesh, foam padding, Flywire cords, and an inner sleeve, but without the (relative) plushness of the Pegasus. And that’s what the Winflo is – a low-calorie Pegasus of sorts. It draws design inspiration from Nike’s current visual template; case in point is the riding heel lip. If you don’t want to spend in triple digits, the Winflo happens to be a great pick. It’s cushioned enough for daily runs but nimble enough for faster days. It’s amazing how much value the Wildhorse 4 packs in for its $110 retail price. There’s a rock plate and a heel Zoom Air bag within a relatively cushioned midsole. The outsole’s multiple trail-oriented lugs grip well, and the semi-closed upper design keeps the debris out. The Wildhorse is one product where the Flywire comes in very handy. The Flywire cords are partially laminated and stretch all the way to the forefoot. This helps keep the foot locked down during ascent or descent. A lot of readers will want to know – why not the Terra Kiger? That’s because the Kiger has a 4 mm midsole gradient, no forefoot plate, and an upper which isn’t as debris-resistant as the Wildhorse. The Kiger has forefoot Zoom air but the Wildhorse’s rock plate has greater functionality. Out of the two, the Wildhorse has greater versatility and is likely to appeal to a larger population of trail runners.